SILICON SLOPES, Utah – May 3, 2018 – Domo®, the cloud-based operating system for business, today announced that it was listed as the top vendor out of 16 evaluated for the Dresner Advisory Services’ 2018 Collective Insights® Market Study, part of the Wisdom of Crowds® series of research, for the second consecutive year. This announcement follows Domo’s recent number one vendor rating in the Dresner 2018 Cloud Computing and Business Intelligence (BI) Market Study. This is the third edition of Collective Insights® Market Study, with governance remaining an important topic for organizations seeking to better leverage both information resources and scarce human experts to drive improved group-based decision making. 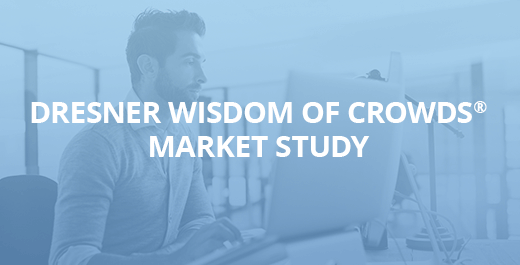 In rating the 16 vendors, the Market Study considered all collaborative, governance, data storytelling and framework integration features, with feature importance weighted by users. For a complimentary copy of the report, visit: https://www.domo.com/learn/collective-insights-market-study-2018. Domo’s mission is to be the operating system for business, digitally connecting all your data, your systems and your people, empowering them to collaborate better, make better decisions and be more efficient, right from their phones. Domo works with many of the world’s leading and most progressive brands across multiple industries including retail, media and entertainment, manufacturing, finance and more. For more information, visit www.domo.com. You can also follow Domo on Twitter, Facebook and LinkedIn.